Friday’s school-run shoes are simply outstanding – to my mind at least! 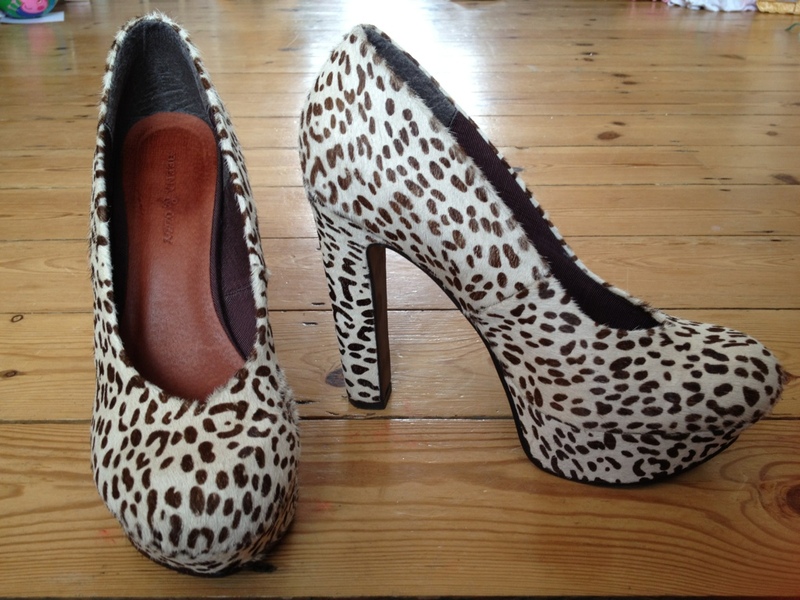 Dizzily high platform heels with leopard-print, furry ponyskin (or some such), they’re made by Deena & Ozzy and were bought in the Urban Outfitters pre-Christmas sale. For me it was love at first sight. Surprisingly, despite their height, they are both comfortable and easy to walk in, presumably because of the chunky rather than stiletto heel, and of course the luxurious cushiness of the platforms. Which makes them the most perfect, fantastically funky footwear for the school-run. Who’d’a thunk it, eh? !